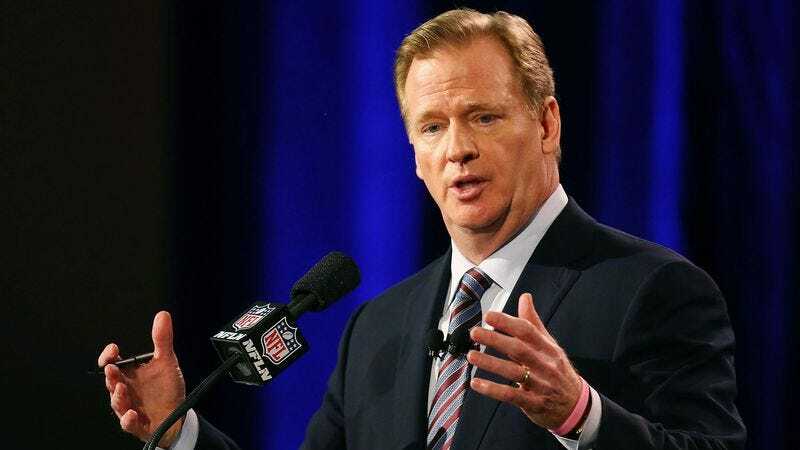 NEW YORK—Saying that it is the perfect way to further increase the sport’s popularity, NFL commissioner Roger Goodell announced Monday that the league will soon begin holding a regular-season game deep within the Earth’s inner core. “This game represents an opportunity to bring the great sport of football over 3,000 miles below Earth’s crust,” said Goodell, adding that the primetime event in the planet’s 10,800-degree, nickel-iron core will be scheduled as a regular-season matchup between two non-divisional opponents. “The league still has so much growth potential throughout the various interior layers of Earth, and a thrilling spectacle of world-class football will only continue to strengthen the NFL brand. And based on the research and various seismological studies that we’ve conducted over the past several years, we’re incredibly confident that the inner-core games will be a huge success.” At press time, sources confirmed that advance tickets for the forthcoming subterranean event have already sold out.